The Spiralizer with a Twist Put a spin on the bland looking carrot. Eating healthy just got a whole lot more interesting. This Goumia GS325 CurlyQ Spiralizer will magically transform any fruit or veggie into a bowl of colorful twists, curls and spirals! 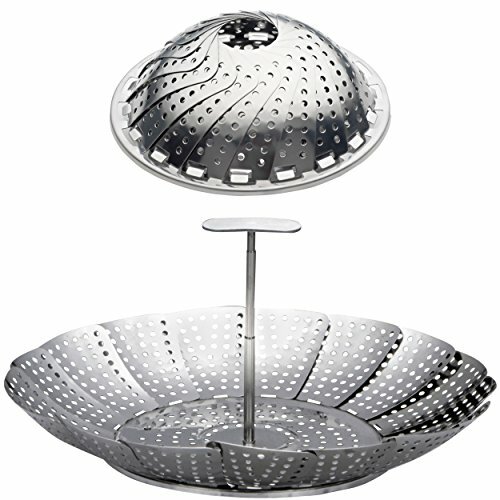 Comes with 3 different blades for spaghetti, fettuccine, and ribbon style shapes. 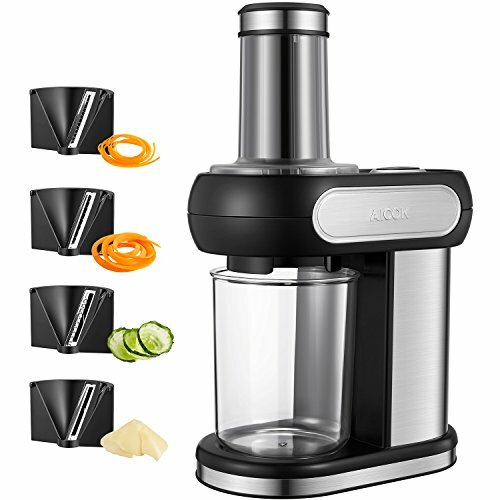 Stick in anything from zucchini to sweet potato, hit one switch, and watch as this Power Spiralizer churns out oodles of noodles! 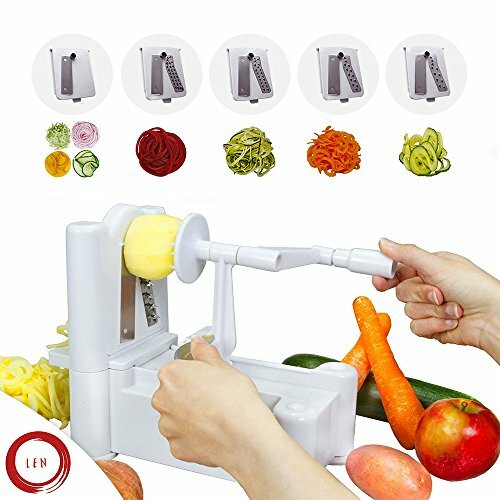 Aicok Electric Spiralizer/Vegetable Slicer bring you creativity in the kitchen! Make delicious and healthy meals at home! 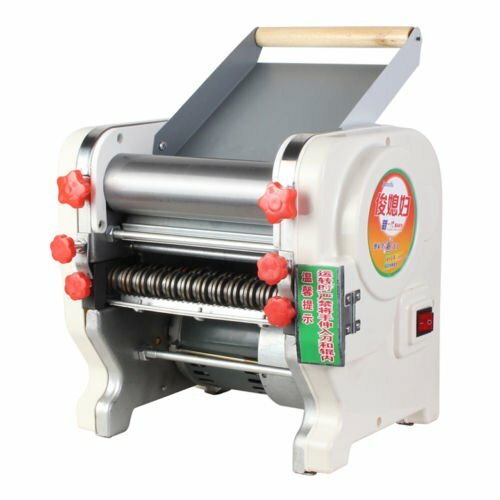 Features: 1、Electric Spiral Slicer creates noodles and ribbons quickly and easily. 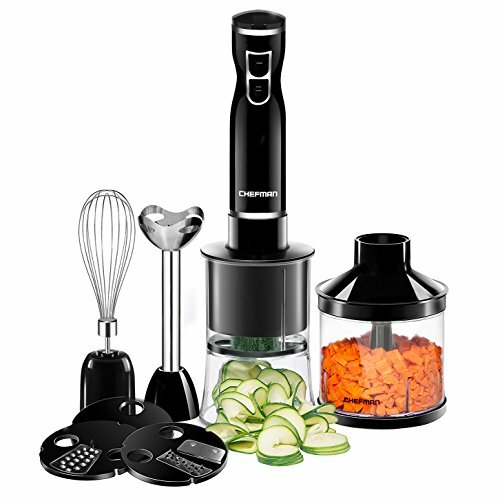 2、With 4 interchangeable stainless steel blades, making food thin, thick or ribbon spirals. 3、Quiet and automatic operation make it noiseless and comfortable. 4、All the additional attachments can be washed in the dishwasher. 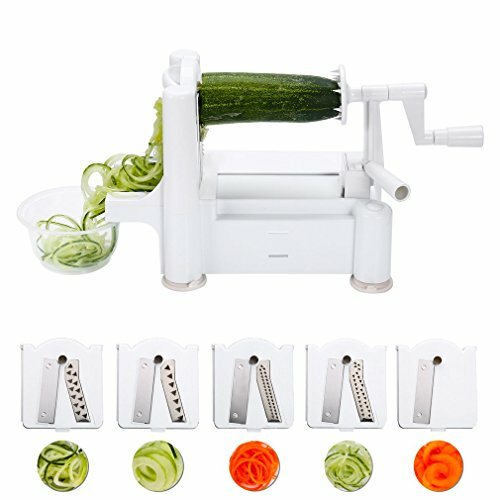 5、Make zucchini noodle，cucumbers spirals , veggie spaghetti，radish ribbons or carrots etc. Specification： Product dimension: 24*14*38cm(9.45*5.5*14.96inches) Item weight: 2.04 kg/ 4.497 pounds Color: Silver/Black Power: 100W Voltage:110V 60Hz Food Container: 5 cups Blade quantity: 4 Package includes: 1* Aicok Electric Spiralizer 4* Interchangeable stainless steel blades 1* Pusher 1* container 1* User manual Note: Please read and follow the instructions in user manual after you receive this product. 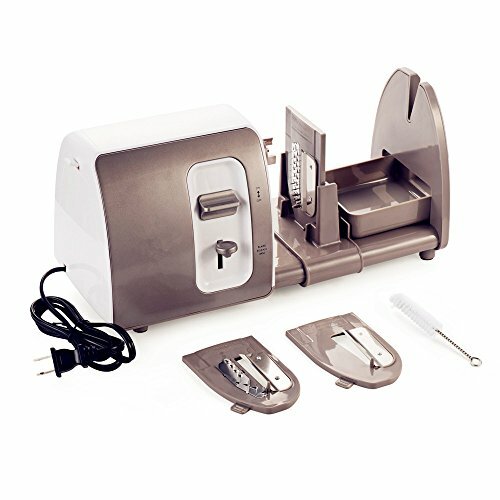 Features and Benefits: - Easy self contained blade-storage. It has 3 high carbon stainless steel blades - Made from top quality, 100% BPA free, food-safe, durable reinforced ABS plastic - Electric, Safe to operate and easy to clean and dish-washer safe - 3-in-1 Electric Power Spiralizer Lighten up your favorite meals with this new spiralizer. Replace pasta with zucchini noodles, or create ribbons of colorful vegetables to top your fresh salads. 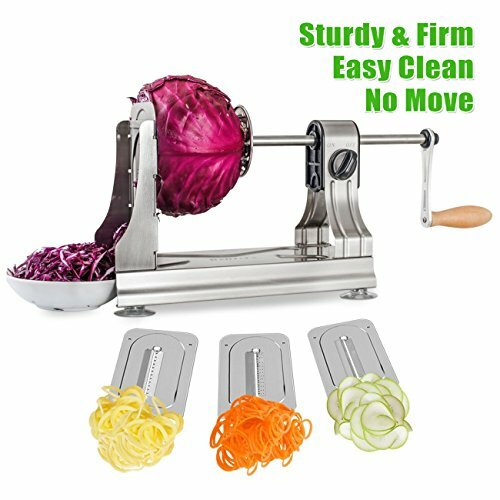 - Ribbon,thick and thin spiral blades let you slice, shred cut friute veggies into chips,pasta strands and more you'll love the healthy meals you've created. Product Model: MY-S001 Spiralizer Vegetable Slicer Product Details: ● Rated Voltage: 120V ● Rated Frequency: 60Hz ● Rated Power: 15W ● Blades: Three Package include: ● 1 x Spiralizer Vegetable Slicer ● 1 x Spiral blade ● 1 x Medium Shredded Blade ● 1 x Small Shredded Blade ● 1 x Cleaning brush ● 1 x Instruction Warranty: 100% QUALITY GUARANTEE 30 DAY BACK MONEY GUARANTEE 24 MONTHS WARRANTY. If there is any problems, pls feel free to contact us soon, we will try our best to solve it for you. 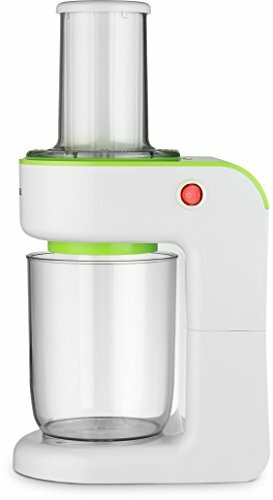 Compare prices on Electric Veggie Pasta Maker at ShoppinGent.com – use promo codes and coupons for best offers and deals. Start smart buying with ShoppinGent.com right now and choose your golden price on every purchase.